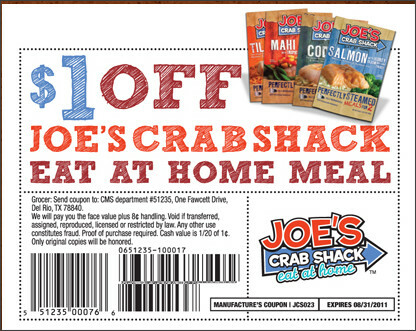 COUPON: $1.00 off One Joe's Crab Shack Eat At Home Meal! Go here to get a coupon for $1.00 off One Joe's Crab Shack Eat At Home Meal. You can find these at stores like Wal-Mart and Bloom.